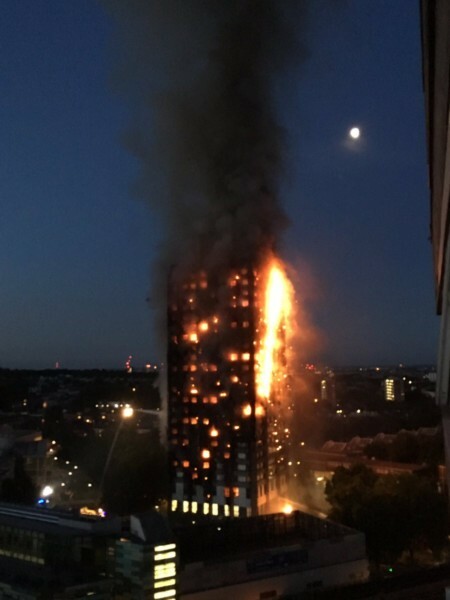 Several people have died after a huge fire ripped through a West London tower block, with many still missing after residents were left trapped on upper floors as flames tore rapidly up the building. London Fire Commissioner Dany Cotton said the cause of the blaze was unknown. Up to 600 people are believed to have been inside 120 flats in the 24-storey Grenfell Tower when the blaze began. At least 50 injured people were taken to hospital - it is unclear how many managed to get out safely. Residents who escaped spoke of others trapped and screaming for help, with some holding children from windows and others jumping from upper floors. Some were reported to have attempted to use bin bags as makeshift parachutes. As an investigation into the cause of the fire began, residents reported that fire alarms had not sounded and that they were told to "stay put" in their flats. Sadiq Khan, the Mayor of London, said: "questions need to be answered as soon as possible".